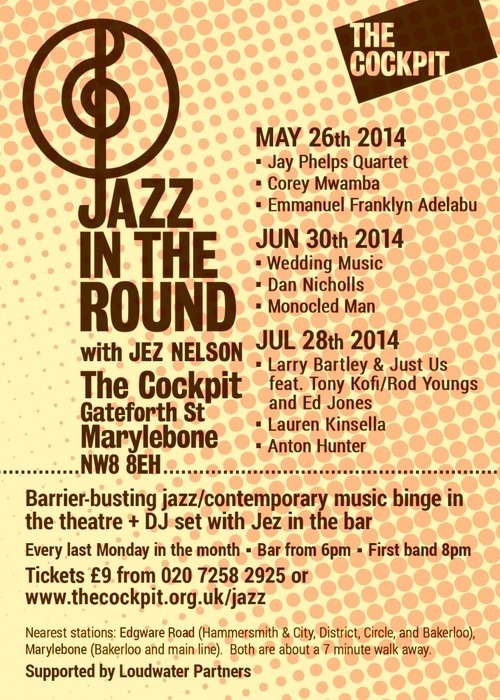 My favourite monthly session #JITR returns to the Cockpit Theatre in Marylebone on June 30th. It’s a unique session on the last Monday of every month presenting three cutting edge sets ‘in the round’ with the audience on all four sides. 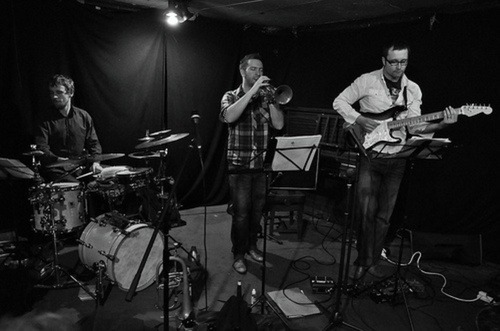 June features the progressive collaborative band Monocled Man featuring Rory Simmons on trumpet, Chris Montague on guitar and Jon Scott on drums. Monocled Man have a raw sound playing brand new compositions. Read more about them and a review of their new album here. Jazz In The Round is just £9 to support amazing live music with some funky abstract DJ selections in the foyer too.